Customer relationship management (CRM) has been as important to the banking industry at the start of the 21st century as it has been to any other industry. Many banks have used CRM tools to acquire more customers and to improve relationships with them. More competition and increased regulation made it more difficult for banks to stand out from the crowd. However, the development of CRM gave proactive banks access to technology that helped them improve customer retention by using customer feedback to offer conveniences like ATMs and online banking. 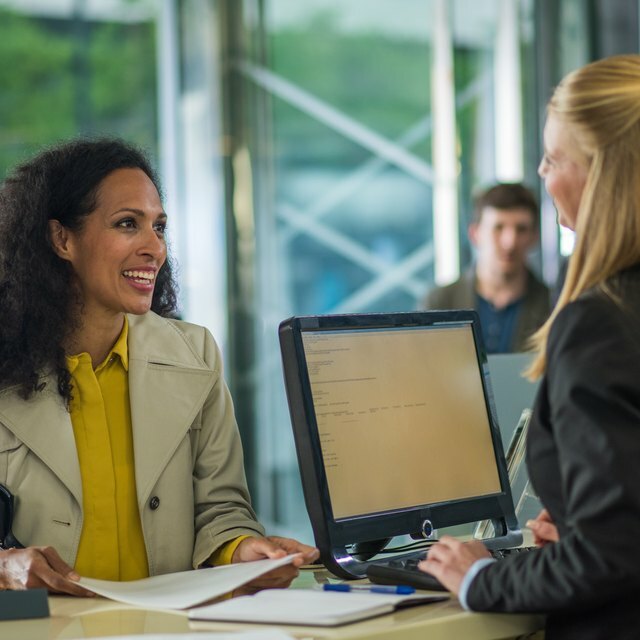 Banks can also use CRM tools to improve customer loyalty by using data collected through customer sign-ups, transactions and feedback processes. Bank call centers use CRM solutions for various purposes. Cost-driven call centers use CRM to track call transactions and troubleshooting techniques to fine-tune the service resolution process. Metrics like average handle time and customer feedback ratings help bank call centers improve their customer support for retention. Profit-driven call centers also leverage CRM customer account records for add-on selling opportunities. Sales has taken on more importance in banks with the evolution of CRM. Bundling of products and premier customer accounts are examples of techniques used by banks to build single-product customer accounts into full product suites including a range of financial services. With CRM software, bankers can easily see what products you currently use, what products you are eligible for and what the benefits are should you add the additional product or service. What Are the Functions of Merchant Banking? CRM Today: Banking Innovations - Does CRM Qualify?